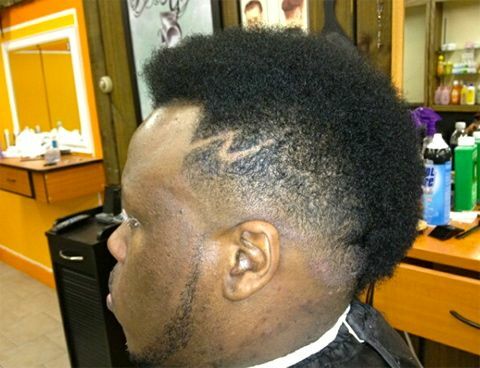 Longtime fans of Krizz Kaliko received quite the shock when the emcee recently hit the barber’s chair for a new look that is sure to turn heads. “Breaking News” is all fans on the web saw just before Tech N9ne shared the photo above. Sporting a new mohawk-style haircut, Krizz Kaliko surprised fans by cutting off the signature ‘fro that had graced the covers of Vitiligo, Genius, and most recently, Kickin’ & Screamin‘. Kali’s new style is quite the radical change for the emcee, but ironically enough makes sense as Tech N9ne also notably sports a mohawk on stage. Could Krizz Kaliko and Tech N9ne be setting a new trend in Strangeland? What do you make of Krizz Kaliko’s new haircut?